State Bank of India has finally released the much-awaited notification for the recruitment of Probationary Officers for the year 2019-20. SBI has released 2000 vacancies this year. Keep on reading to know about the answers of Frequently Asked Questions of SBI 2019 Recruitment. ☛ What are the posts available on this recruitment project? The post which will be available in this recruitment project is SBI Probationary Officers (PO). ☛ When will be the exam conducted? The Tentative dates for Preliminary Exams are expected to be in 8th, 9th, 15th & 16th June 2019. ☛ How many vacancies are there? The number of vacancies is 2000 for Probationary Officers (PO). ☛ What is the age criteria to apply in this common written exam? The candidate should Not below 21 years and not above 30 years as on 01st April 2019 i.e. candidates must have been born not later than 01.04.1998 and not earlier than 02.04.1989 (both days inclusive). ☛ What is the educational qualification required for various posts in this recruitment process? Graduation in any discipline from a recognised University or any equivalent qualification recognised as such by the Central Government. Those who are in the Final year/Semester of their Graduation may also apply provisionally subject to the condition that, if called for interview, they will have to produce proof of having passed the graduation examination on or before 31.08.2019. Candidates having integrated dual degree (IDD) certificate should ensure that the date of passing the IDD is on or before 31st August 2019. Candidates possessing qualification of Chartered Accountant may also apply. 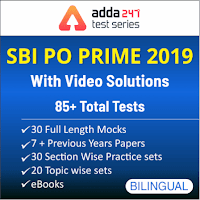 What is the selection procedures of SBI PO 2019? The marks obtained in the Preliminary Examination (Phase-I) will not be added for preparing the final merit list for selection. Only the marks obtained in Main Examination (Phase-II), both in Objective Test and Descriptive Test, will be added to the marks obtained in GE & Interview (Phase-III) for preparing the final merit list. The candidates will have to qualify both in Phase-II and Phase-III separately. 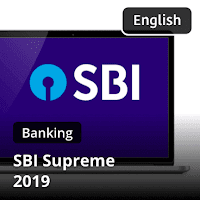 ☛ What is the number of chances in SBI PO 2018? ☛ Will there be an interview after the written result? Yes, Candidates numbering up to 3 times (approximately) in Mains Examination of the category wise vacancies will be shortlisted for the Group Exercise & Interview from the top of the merit list subject to a candidate scoring minimum qualifying score in aggregate. ☛ Will the exam conducted online or offline (OMR Based)? Common Written Exam for SBI PO will be conducted online (Both Prelims and Mains). ☛ What is the Application Fee? ☛ When will the registration start? Registration will start from 2nd April 2019 to 22nd April 2019. ☛ I have scored 55% in Graduation. Am I eligible to sit for the exam? ☛ I am 20 years old. Can I sit for the exam? ☛ What is the Structure of the exam? ☛ What is the cut-off for being recruited? There is no fixed cutoff for SBI Probationary Officer. It depends on the performance of the candidates each year. Your final score is calculated based on your performance in the Online Test. ☛ Is there a criterion for negative marking?